The title of this article might seem to be inconsistent with my mission of being a staunch small business supporter, but as much as I love small, privately-owned pizzerias, there's something that truly drives me crazy about 95 percent of them! I'm a pizza blogger, former (and from time to time current) pizza maker, business person, and grad school student who continues to be infuriated by pizzerias who don't develop an online presence of any kind! Now, in this age of technology, you might just assume that all businesses are online but that couldn't be further from the truth! 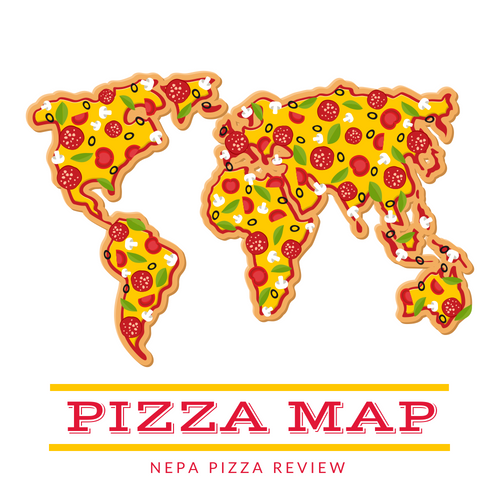 When I am writing my pizza reviews, I research each place to see if I can glean any interesting information about the pizzeria online. I can't tell you how many time's I've come up empty and unable to locate a trace of effort from a pizzeria to get themselves online. People feast on information over the internet, and they will fill in the blanks for you if you don't send a clear message online. 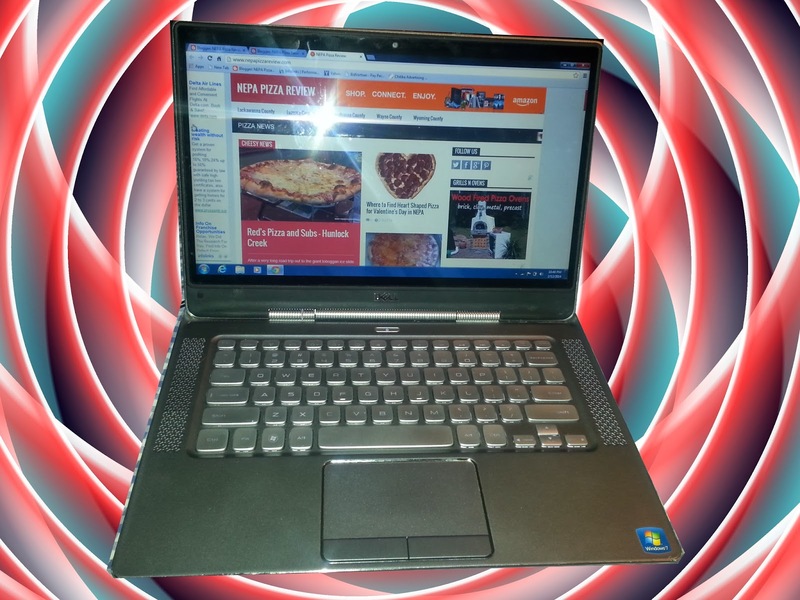 From my experience in the pizza business and my dealings with many business owners, I noticed a few things. First, many pizzeria owners are from an older generation, who aren't interested, or perhaps not technically savvy enough to develop an online presence. Next, pizzeria owners are among the busiest people I have ever met. They order inventory, schedule and manage employees, do all the banking, try to find time for family, make the food, and please the customers. One could make the argument that developing an online presence is just not possible due to time constraints. Finally, pizzeria owners are proud people, and I've met some who have the attitude that they have the best pizza and the customers will come for just that simple reason. Where all of may be true, I'm here to say that none of this matters if you want to compete with the big boys and stop the major chains from cannibalizing your business by selling $5.00 pizzas and running TV commercials day and night. Considering that according to Bloomburg, approximately 60% of all restaurants fail within their first year of operation, wouldn't a business owner want to ensure that they are increasing their odds of success? Knowing that most people in today's society are tethered to their cell phones and computers, wouldn't you want them to be able to easily find your business online? Well why are you still reading this article?! Get out there and develop your online presence! Actually, if you read on, I'll point out some of the problems and give some suggestions on what pizzerias are or are not doing and how to improve each area. The first step in our journey is for each business owner to head over to Google.com and type in their restaurant's name and town and see what comes up in the search results. If you haven't worked on your online presence, chances are the search results are from review websites and generic white page websites. This is not a positive thing because other websites are controlling the message that you are sending out. Control what the internet says about you! A website is an absolute must for any business, and although it may sound daunting and expensive, it is not. You can create a free website in as little as 15 minutes if you really wanted to, but why not spend less than $20 per year to have your own beautiful website with your restaurant's domain name? Services like GoDaddy will get you set up for about $15 per year and gives you free tools to set up the website. What to put on it? Minimally you will need your address, phone number, some photos of your restaurant and food, and a menu. People are not going to carry around a stack of menus when that menu should be on the internet, so let them have one online! If you proceed with my other suggestions, you can include links from your website to things like Social Media. I'm going to keep this simple by saying that restaurants should participate in social media websites like Facebook and Twitter. I search both websites for local pizzerias here in Northeast Pennsylvania, and I find that many places sort of use their Facebook page as a website, which is fine - at least it's something for people to access. This is not what social media is intended for, and business owners are doing themselves a great disservice by not keeping the public up to date with your restaurant through social media. My suggestion: sign up for Facebook and Twitter, install both apps on your smartphone, and make sure you make at least a couple posts per week on each. Take photos or videos of your food, or something interesting in your restaurant that people will want to see. Tweet out your weekly specials, store hours, menu revisions, or turn yourself into a social media celebrity if you want to! It's so important to keep this up to date. Unfortunately, I see a lot of facebook and twitter newsfeeds that have not been updated in more than one year. If you are too busy, or do not want to participate: My Suggestion: buy an ipod touch or similar device and create Twitter and Facebook accounts on it. Leave that device at the restaurant and allow your cooks and waitresses to take photos and post things on your behalf. I'm sure they would have a blast with the responsibility! You will see your sales increase if done properly - and speaking of properly, there is no right way to do social media. Experiment, have fun, interact with customers, and grow your audience. Otherwise you are limited to only those who are walking or driving past your store. Review websites like Yelp, Urbanspoon, TripAdvisor, and now Google and Facebook are constantly accepting reviews from people around the world. Most of these rely on the classic 5 star rating system. Make sure that you are registered on the sites and have a star rating. Unfortunately, if your star rating is low, new prospective customers will skip right over your site because it looks bad at first glance. A business owner should check out what people are saying about his or her restaurant on these sights to see if there are any unfair reviews out there, and to see if there are any constructive criticisms that they can learn and improve from. One word of caution, people love to be mean when they are unsatisfied, so a little patience is necessary. The point here is to be aware of what's out there and do anything you can to improve those ratings. You can do it the old-fashioned way, or you can pay to improve it through some services available online like Reputation Defender. The main thing here is to be aware of what's out there and protect your business. Your business must be registered on Google, Yahoo, and Bing at a minimum. When someone types in Bob's Pizza in San Francisco, and the nearest result is in Texas, you have a problem. The process of registering your business on a search engine is as simple as entering your business contact information and address. Here is google's registration link to walk you through the process. Trust me, you will want this done even before you open your restaurant. As soon as someone hears "a new pizza place is open on main street in Anytown, New York" they will type just that in google to find out about you. If you aren't registered, they won't find you and that will reflect negatively on your business. Most places in this country have food bloggers like myself flying around and typing up reviews about everything in your business. We are human beings and sometimes we don't get the whole story correct. Sometimes we are just not in the best of moods, and sometimes the meal we receive is not representative of the normal quality food that is usually served. I've had several business owners email me with errors, and I was happy to correct them immediately for them. People like myself strive to develop relationships with business owners, so we are happy to update information (but not necessarily the opinion rendered). You can even invite us back to try it again. Either way, reaching out to food bloggers can really help because we can improve your review where possible and we can also offer advice on how to increase your online presence. I'm always willing to help businesses in NEPA, and I even offer free advertising to businesses who connect with me. Forming partnerships will help you grow together. This is probably the priciest and most involved endeavor of all my suggestions. Online advertising is tricky, and it can be ineffective if you don't choose the right medium. My suggestion: contact your local newspaper, who will have "Daily deals" or "ReferLocal" who offer highly targeted advertising that really drive people to your place of business. Also look to local/regional websites (such as mine!) for cheap advertising opportunities. They can also help you gain exposure for a low price. If everything I said makes sense to you, but you are still telling yourself that you don't have the time or energy to do all of this, I recommend paying someone to do it for you. You can go online and find a company to do it all for you, but you're probably going to pay a hefty price to do it all, and it involves a high level of trust with the vendor. My suggestion, find someone you know and trust to get your name out there online. I'm sure there's a niece or nephew, family friend, or relative who knows how to use social media and get around the internet and can use a couple of extra bucks in their pocket. Reach out to them and see what they can do. It's not that complicated, and it doesn't require a lot of effort once you get up and running. With a little time and money investment on the front end, your business can be an online powerhouse that drives customers into your restaurant. Once you get up and running, trust me, you will find it fun snapping photos of your food, or your goofy waiter, or your holiday decorations. Interacting with customers is so valuable in the information age, and the tiny investment you make online will pay off big time in your bottom line over the long run. So get online, spread your wings, and reap the benefits!